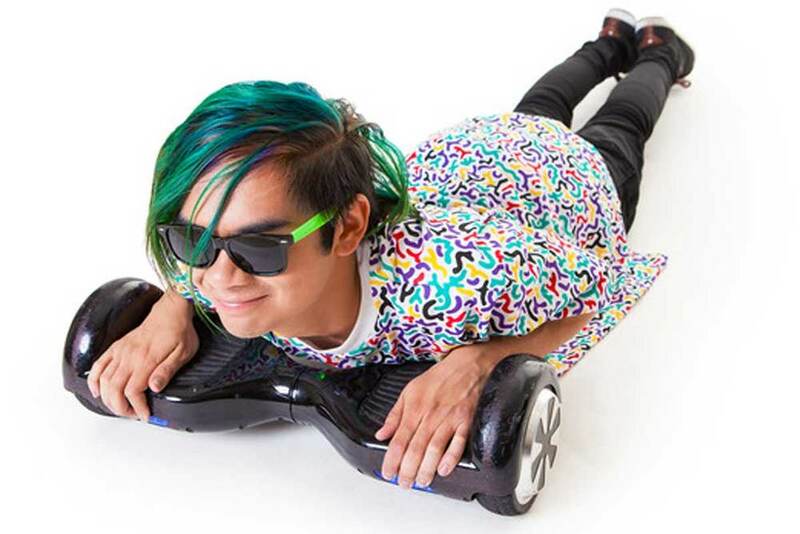 Shawn Wasabi is a 20yo producer and controllerist raised by a traditional Filipino family in the city of Salinas, CA. He started his passion into the world of pushing buttons when his childhood friend Sushi Killer left his Midi Fighter 3D over at his house in April of 2013 to play around with and eventually create the live mashup Pizza Rolls. Since then, he has established an internet fanbase and reputation as one of the most dynamic controllerists around pushing buttons for the internet and for fans in cities internationally and awed the internet world again with his latest release of Marble Soda, which hit 1 million views within 48 hours of being uploaded. Beyond the glittery mixture of sugary sounds, Shawn Wasabi is also well-known for the very rare and colorful Midi Fighter 64 controller with arcade buttons he uses to create his music—3D printed, laser cut, engineered, and gifted to him by the Midi Fighter inventor, Michael Mitchell. Only one exists in the world, and it resides in the talented hands of Shawn Wasabi.